You are walking through the imposing halls of a courthouse when you notice, glimpsing through the portholes in the court doors, that all the judges are women. 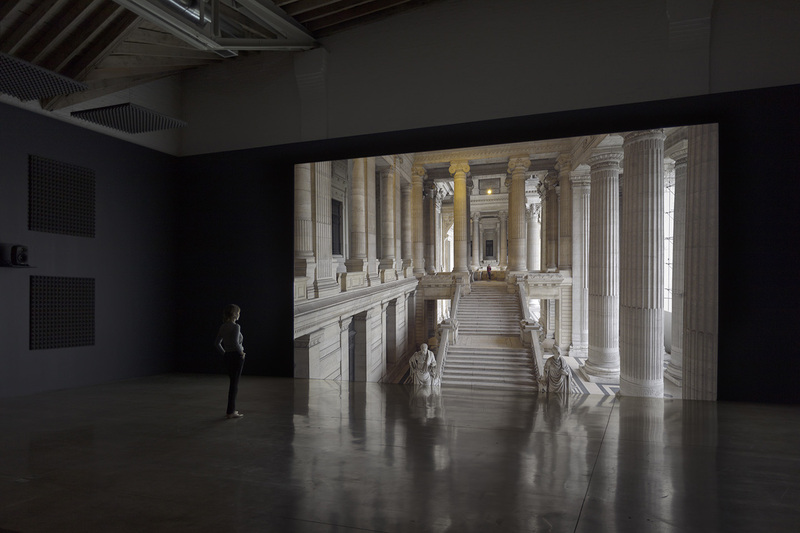 This alternative reality—in which women are in charge of the judiciary system—is the subject of Palais de Justice (2017), which comprises the centre of the exhibition currently held at Paula Cooper Gallery, in which Carey Young questions law as an historically patriarchal system which defines the idea itself of individuals, and their place in the world. 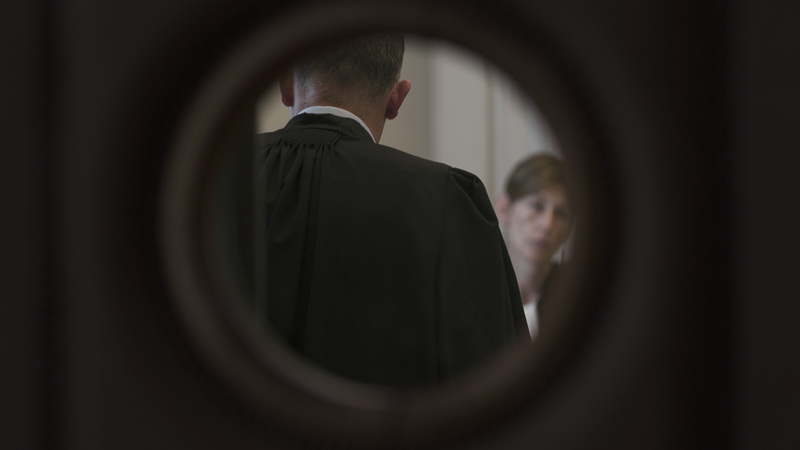 Francesco Tenaglia: Your video Palais de Justice (2017) features a series of courtrooms where proceedings are being held by female judges. What got you interested in this image/representation? Carey Young: I’ve been interested in law’s patriarchal culture and system for some time, and wondering what (and when) the alternatives will be. 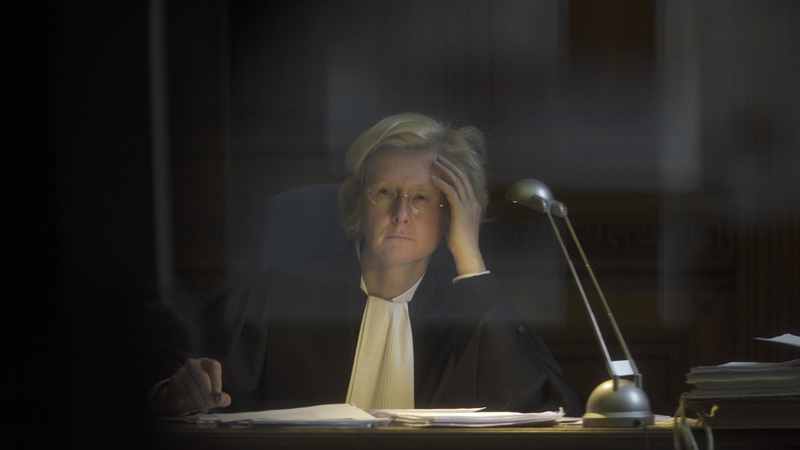 When I first visited the Palais de Justice, which is Belgium’s labyrinthine main working courthouse, I was struck by the many courtrooms in which female judges were presiding over trials. I decided to create a video artwork that would feature only these female judges, as if to suggest women were somehow in control of justice. What kind of future might that offer? In a way, this piece is a speculative proposition offering no answers. The piece poses the question through footage of real events, as if this scenario was already in play. 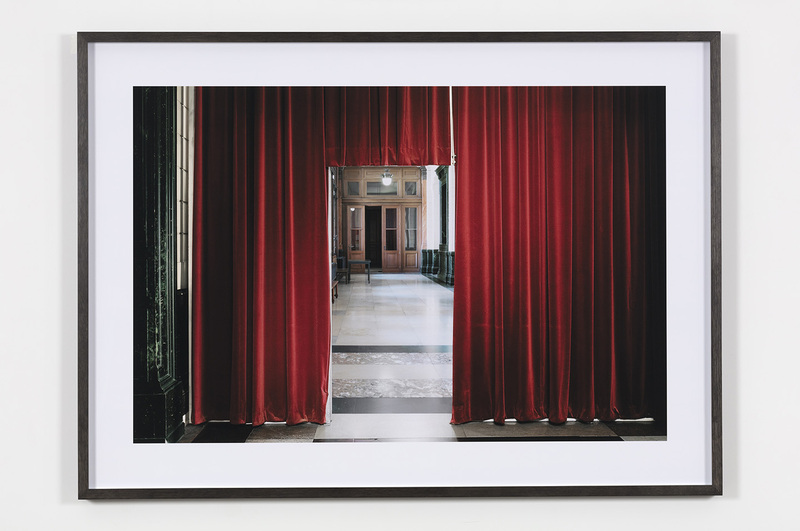 FT: There seems to be a symmetry, or at least a dialogue, between the spaces of the courthouse—majestic, open—and shots of the judges, which are almost always framed through portholes in the doors as if they are stolen images, somehow intimate but fleeting. CY: Yes, indeed. I was standing outside the courtrooms and shooting through circular portholes in the court doors. They became viewing devices—like lenses, apertures, irises. 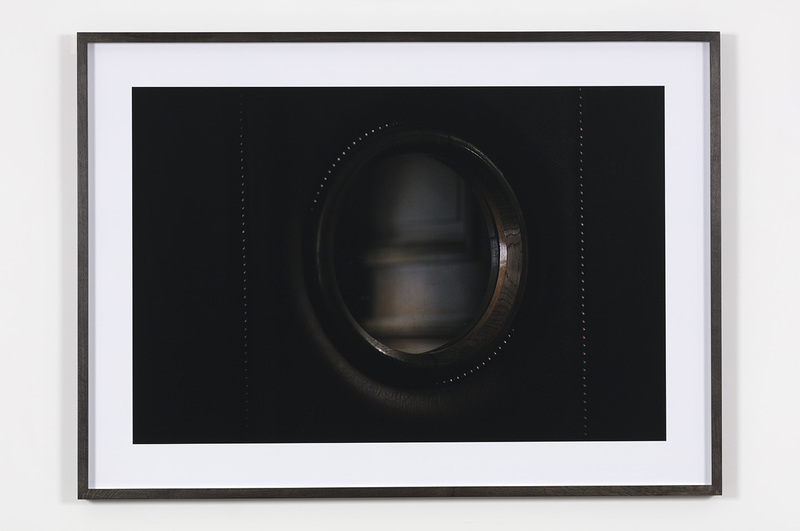 In many senses the work is about ideas of looking and framing or being framed. 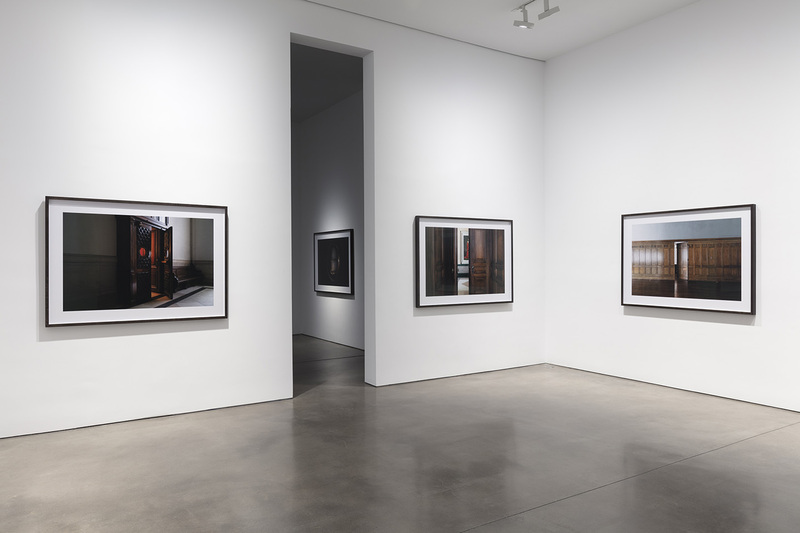 The piece has a glassy appearance, with layers of reflections that capture an almost 360-degree view of passersby behind the camera, and the trials in progress visible (but not audible) through the windows. There is a sense of real life passing by, but also an intense focus on the female judges, who are presiding over real trials (which is also real life, especially for the defendants). 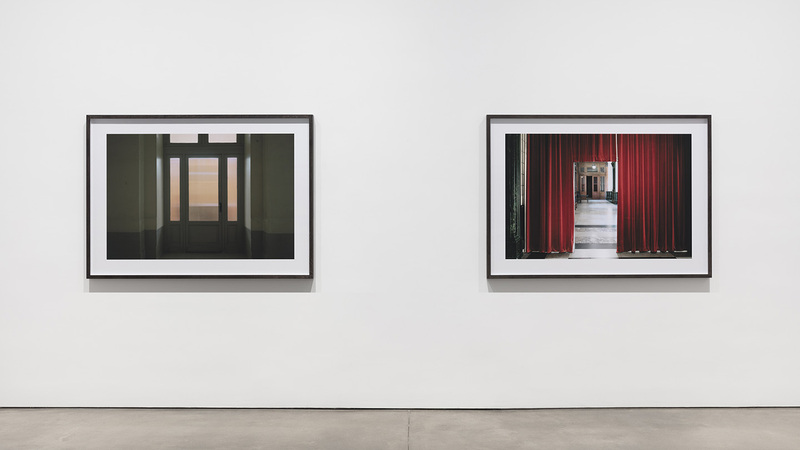 I used the court’s immense architecture of power as a frame or stage for these women. 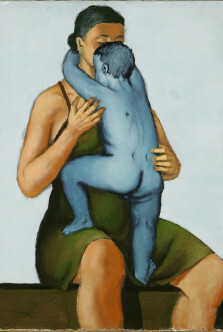 At the beginning of the piece the space seems male, but soon the women appear to dominate. I shot without the permission or knowledge of the court or anyone featured in the work, and I used long lenses to give a sense of increasing intimacy, especially toward the end, where younger female lawyers are featured, and we feel somehow that the camera has become too close, too intrusive, that it has started to take on aspects of the male gaze. 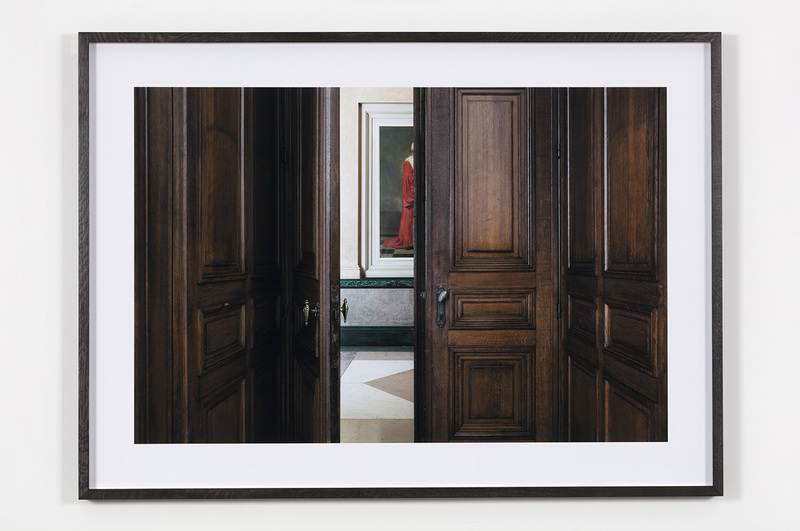 There is a tactility, a longing to touch, in some of the images, a sense of the camera as Peeping Tom. 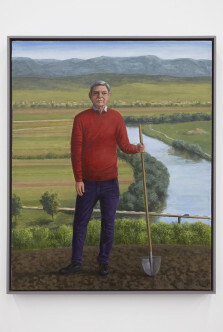 In some senses the piece offers a kind of standoff in terms of power—artistic power (the power to represent) with judicial power (the power to punish, to protect, to liberate, et cetera). Or judicial judgment in relation to artistic judgment. These are two tangents that interweave within the piece. FT: Other elements that emerge from watching the video is that the courthouse seems to contain the remains of a past in which it was directed by male power exclusively. Especially in pictorial depictions. CY: Not just in pictorial depictions! While the ancient Greek goddess of justice, Justitia, is depicted as a woman and appears as a statue within many court buildings, law is historically, and currently, a very patriarchal system. We could think of law as “colluding” with patriarchal social and political orders, whether historically or in the current period, and most lawyers and judges are men. As the feminist legal scholar Catherine MacKinnon said, “The same people who have power in life have power in law.” At the start of the video we see a number of drawings and paintings of male judges that decorate the courtrooms and public spaces of the court. Of course, this expectation—of the space being inherently male—is then undercut as we see more and more female judges delivering judgments, directing lawyers, and otherwise presiding over the trials. 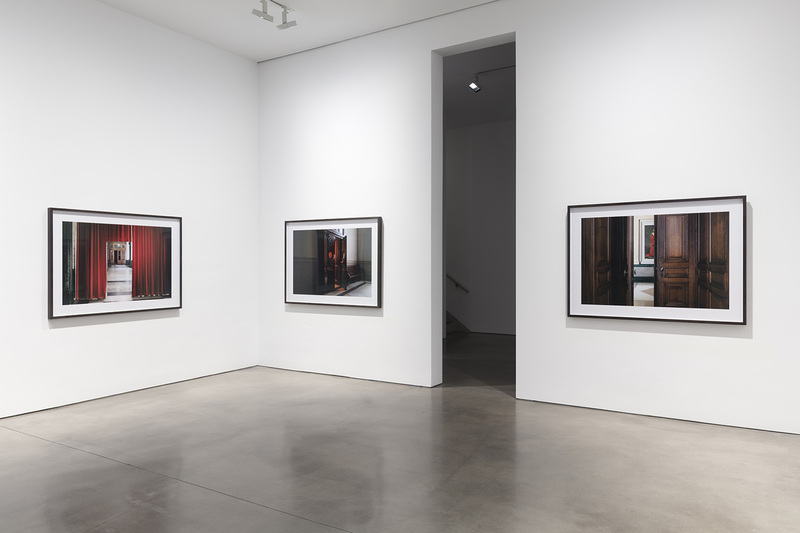 FT: How does the photographic series—also shown at Paula Cooper—provide a counterpoint to the video? 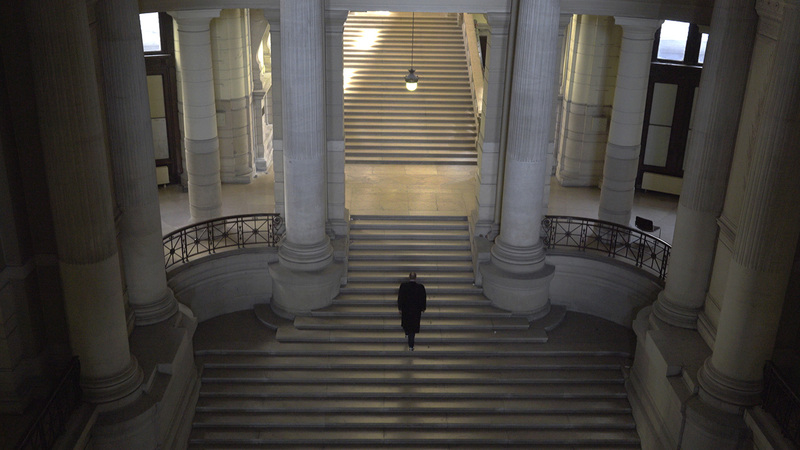 CY: The Before the Law series (2017) features doors within courtrooms (most of which were at the Palais de Justice). 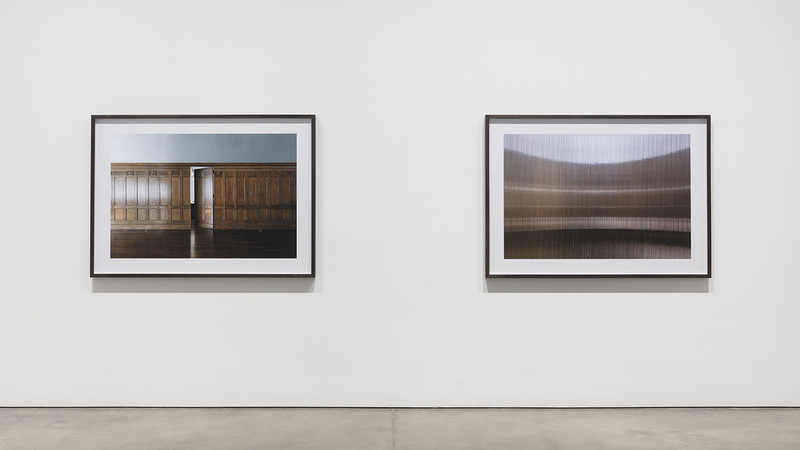 I photographed them as thresholds—we as viewers may feel we are both inside and outside “the law.” This theme is at play in most of my law-based works. I do not take a position as “outside”; we are always already inside the law, and yet we are also at its margins or furthest reaches, or its negative spaces. 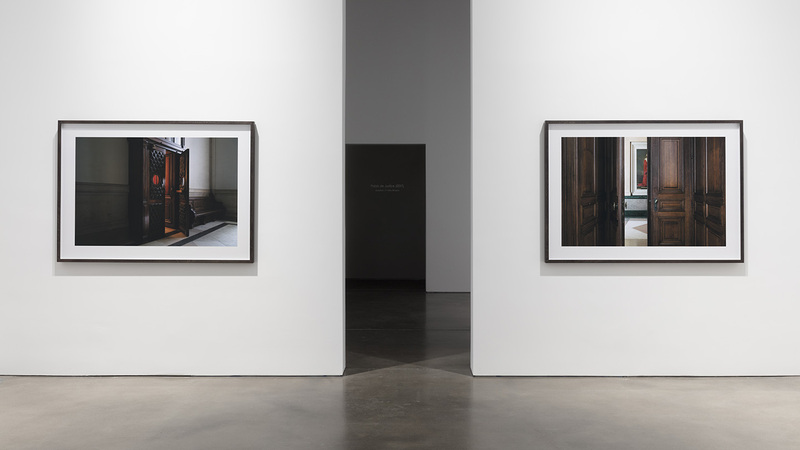 In the photographs, we see through many of the doors to a view beyond. In one, for example, we are in a cold corridor space, and through an open court door we can see a reddish light emanating—it evokes a feeling of warmth and the possibly of seduction—and this could be law as something to which we turn for protection or possibly because we desire rules, order, and so on. In another image, from a corridor of Edward Hopper–esque gray-green, we see through a frosted door window into a courtroom that glows like a Mark Rothko or an Agnes Martin. To me this suggests a relation between ideas of abstraction—art and law—and proposes a new aesthetics of law, beyond print on paper or blindfolded goddesses, toward an idea of modernism, purity, and its aftermaths. 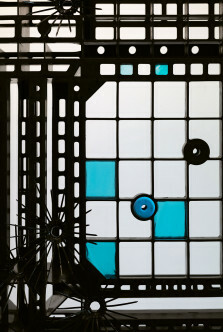 A further image in the series gives a close-up of the same frosted glass and a view onto the concave curve of the judge’s bench, which is abstracted into an intense linear pattern. There is a subtle feeling of vertigo when you get close to this image, as if you might fall in. The judge’s bench beckons you in. FT: Your work has often expressed an idea of law as an element of infrastructure and, in a sense, as a narrative of power. How did this interest arise? CY: I think law has been rather overlooked by artists. It is a rich and vast subject, and once you start to abstract it, it’s far from the rule-bound, dry bureaucracy that one may first imagine. Of course, law centers on power. Law is a field in which the very idea of what a person is, and what they can or cannot do in the world, is constructed and enacted. Law has gaps, elisions, fictions, aesthetics, differing global traditions, an “unconscious,” and, of course, many aspects of blindness and wrong-thinking. As an instrument of the “sovereign,” aka the ruling power or state, it is incredibly political, and yet could be seen as our main lever for reining in corporate greed. Law needs a fuller critique, and artists can bring something totally new to the debate, especially in terms of public understanding and in terms of enabling a more expansive and engaging criticality. Born in 1970, Carey Young is British-American. 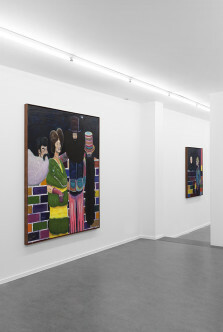 Her work has been exhibited in prominent national and international exhibitions and has been the subject of numerous one-person exhibitions including Dallas Museum of Art, curated by Gavin Delahunty (2017); Migros Museum of Contemporary Art, curated by Raphael Gygax (2013); Eastside Projects, Birmingham, England (2010), which traveled to Cornerhouse, Manchester and MiMA, Middlesborough; Le Quartier, Quimper, France (2013); The Power Plant, Toronto (2009); and the Contemporary Art Museum St. Louis (2009).Young’s work has also been presented at the Walker Musuem of Art, Minneapolis, (2017, 2010), Centre Pompidou (2015), Moscow Biennale (2013, 2007), Taipei Biennial (2010), Tate Britain (2009), Modern Art Oxford (2007), Performa 05, Sharjah Biennale 5 and the Venice Biennale (2003). A monographic study of her work, Subject to Contract, was published by JRP Ringier in 2013. 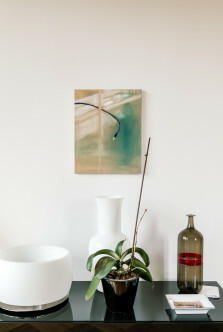 The artist is currently based in London, England.